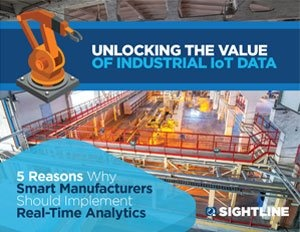 Sightline Enterprise Data Manager™ (EDM) for Manufacturing is a powerful manufacturing analytics solution that allows plant managers, operations engineers and plant technicians to take advantage of the performance, efficiency and quality gains made possible by the Industrial Internet of Things (IIoT). Built on Sightline’s proven IT performance monitoring platform, EDM helps some of the world’s largest manufacturers collect, retain, visualize, monitor and analyze machine data in real time to streamline operations and improve profitability. Analyze massive amounts of Industrial IoT data in real time to improve efficiency, increase quality and maximize performance. Analyze IIoT data in real time to quickly identify anomalies and take corrective action to prevent unplanned downtime. 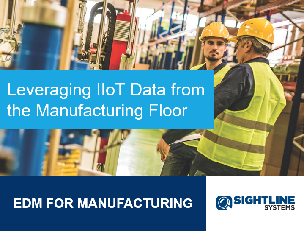 Sightline EDM allows manufacturers to get more value out of massive amounts of machine data from IIoT devices, smart sensors, PLCs, SCADA and ERP systems. Instead of manually downloading data into Excel spreadsheets, manufacturers can depend on Sightline EDM to automatically capture, store, analyze, correlate and display thousands of data tags from production runs, plant operations and energy consumption in millisecond increments. 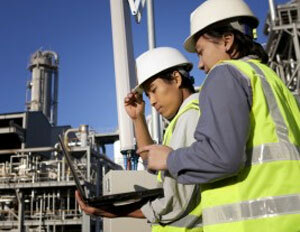 Sightline customers have documented millions of dollars in long-term savings from the real-time analysis of manufacturing operations, including paint processes, incorrect valve identification, process bottlenecks, product formula hypotheses testing, energy waste in electric motors and compressed air, improper pump PSI and VSD settings, fan vibration, conveyor motor alignment, multivariable quality control batch tracking, correlation and more. Sightline EDM for Manufacturing includes pre-built data integrations that allow manufacturers to ingest a wide variety of data from any connected device, including industrial PLCs, RFs, sensors, microprocessors and more. Sightline’s millisecond data speed was verified by one of the world’s largest automotive manufacturers as the industry’s fastest and most accurate data collection and retrieval solution after a comprehensive competitive review. 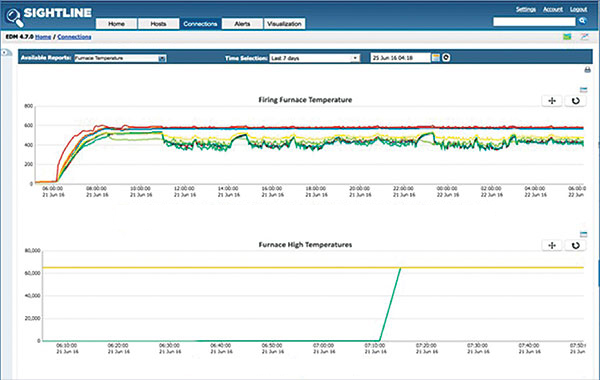 Sightline EDM’s centralized, web-based dashboard provides manufacturers with advanced reports, customizable notifications and real-time visualization of IIoT machine data, including alerts, tolerances, variances, electrical usage, speeds, feeds and vibrations. Sightline allows engineers and operators to easily conduct root cause analysis to quickly find the “needle in a haystack,” identify performance issues, correct problems and improve processes. Sightline EDM enables a comprehensive asset performance management approach that allows manufacturers to drive significant operational cost reductions throughout the plant production cycle, without losing valuable production time, materials and processes. Contact Sightline Systems today to document the potential Return On Investment (ROI) of a Sightline EDM implementation through an initial Proof of Concept evaluation and proposal.